Considering The Horizontal Stack: Are You Sure It’s Right For Your Team? The start of the college season is just around the corner and that means it’s time for a team meeting. As you prepare to start your fall practices, you’re probably looking over something: offense. If you’re like most teams, you ran the horizontal offense last year because, right now, it’s the go-to offensive set in the game. But, why is that? Why is this offense so popular? Does it live up to the hype? Should you use it just like everyone else? 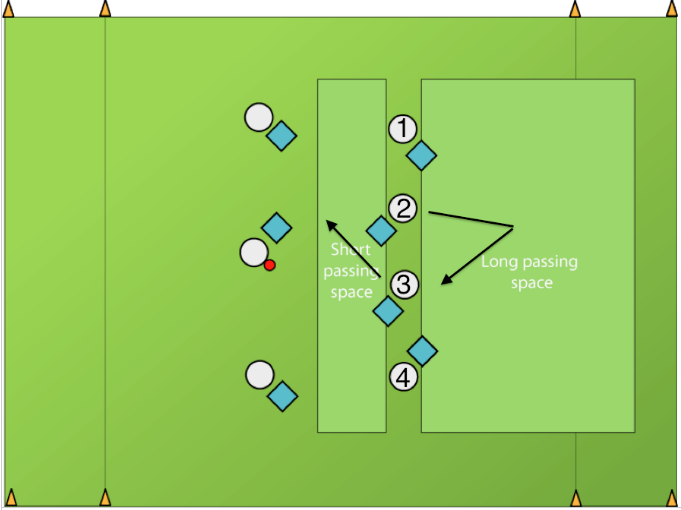 There is a unique feature in the horizontal set: you must first move a player out of the way to create enough space for another player to use, whereas every other offense starts with ample space already created. This simple fact should encourage you to have a discussion with the team leadership about whether this is the offense for you. It’s troublesome to track down which team, or even which part of the country, gave birth to the horizontal stack. It’s much easier to figure out how the offense rose to prominence. All one has to do is look at two clubs out of the Northwest region during the 2000’s: Vancouver Furious George and Seattle Sockeye. Both teams were having problems and this offense offered a solution. It took a couple years of tinkering, but in 2002, Furious George won a Club Championship. Both Sockeye and Furious benefitted from a first mover advantage and won every championship from 2002 until 2007. Six in all were won between the two clubs and they were often battling each other in the Finals. With success like that, it’s easy to see why other teams would take a page out of these their playbooks, or the entire playbook itself. The issue is that most other teams aren’t exposed to the same types of problems that plagued these two teams. Most teams aren’t playing in 30 mile per hour winds where it’s “nasty hard” to catch an in cut at full speed. Most teams — especially college teams — haven’t reached the full potential of the Vertical Stack or, for that matter, any offensive set. Nonetheless, the success of those two clubs made the offense contagious. Compared to teams who consistently compete in the quarterfinals of nationals and beyond, college teams are a lot different. The main thing is they aren’t as experienced, especially with fundamentals like throwing and spacing. Look at the way a Horizontal Stack would set up, ideally, off an out of bounds pull, and question how you might use the initial space and what type of throws are needed to get the disc into that space. 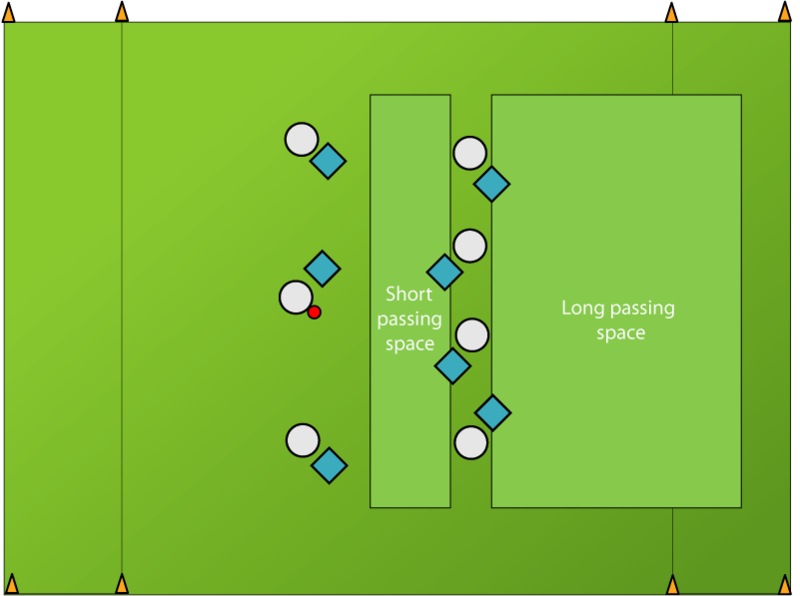 There is the space in front of the stack (short passing space), perhaps fifteen to twenty yards between the stack and the handlers. Then behind the stack is a vast amount of deep space (long passing space). Pay special attention to the deep space and question how it’s useful to the offense. Think about the types of throws that are needed to effectively get the disc into that deep space. When the cutters are spread across the field, there isn’t always an open lane for hucking. The thrower must throw over or around the other players on the field. Are the throwers on your college team capable of making those throws? The point is that by placing cutters across the field it becomes harder to use that valuable deep space. How are you going to effectively get the disc into that space? What types of throws are needed? Are they high percentage? The focus is going to be on the cutter who made an out cut before planting and coming under, but similar problems develop if the break side cutter gets the disc. The cutters are numbered one through four from top to bottom. Suppose there is piston-like movement between the middle cutters, which is a problem in and of itself, but the cutters worked together to create viable space. However, the thrower still has an issue: when the two-cutter plants to come under he is limited by how wide he can cut due to the cutter who is in the four-slot. Similarly, the thrower, when he goes to throw the disc to the two-cutter who is coming under, must ensure he isn’t throwing into the four’s defender, who is in a good position to poach. If in fact that four-cutter realizes that the defender is poaching, the cutter should move. The options: Cut under, cut break, or cut deep. Cutting under would run him into the open-side handler. If he goes break he is going to cut off his open teammate. Going deep is the best option, but then the thrower is still attempting to throw over the defender who is guarding the player coming under, not to mention the poacher himself. It is difficult to get the disc to the four-cutter should he go deep, even if he’s very open. Another example: The defender on the four-cutter is playing honest and the two-cutter who is coming under gets the disc. The same issue has come to fruition: the four-cutter, and his defender, are only hurting the offense. They are standing in the most valuable space in the field, with the same three options he had in the last situation and they’re all still terrible. To word this issue a different way: What’s the reason the four cutter needs to be stationed there? What value is he bringing to the offense with his position? Again, this same type of analysis can be applied to the cutter in the one position if the disc is moved to the break-side. He’s “resting” in some of the most valuable space on the field. So, the Horizontal Stack doesn’t offer great options off a dead-centered disc or once motion starts because it’s difficult to huck. These aren’t the only issues that are specific to this offense. Once the horizontal stack gets moving a couple other problems arise. The first is that clearing is complicated. Where is the best place to clear? In other offenses this is intuitive: Go back into the stack, but with the Horizontal it’s difficult because there isn’t, at least in the traditional sense, a stack. The second issue deals with picks. Picks are an issue regardless of which offensive set is chosen, but the key here is to look at when picks are occurring. When cutting out of a vertical stack, especially one that is spaced poorly, a pick is likely to take place. However, the defender is picked within the first few steps of a cut. In the Horizontal, since cutters start in space, a pick is more likely to occur when a cutter is already open. It is infuriating as a cutter to get picked when you’re open, as is cutting hard ten to fifteen yards deep, planting and as soon as you turn around you see two of your teammates already occupying the space you were about to use. A wasted cut, and now you must clear, regardless of how open you were. All of these issues deal with spacing. Spacing is the most important part of offense and it’s hard to keep proper spacing in the Horizontal Stack. If your team is new to the game or you’re teaching young players who are new to the game, the Ho might not be the best road to venture down. The horizontal offense has its issues, just like every offense, but there are times when it’s in your best interest to use it. All of its problems really center on spacing and throwing. If you’re on a team that has a competitive advantage in either of those two categories – or ideally both – the Ho-Stack might work well for you. If you have accurate throwers that are great at recognizing poaches or if you have throwers that are great at throwing over the top when a team poaches the unders, the Ho-Stack is a good solution. It’s important to consider, as a team, why you run the offense that you do. What are your team’s strengths? What are their weaknesses? How strong are your throwers? How well do your cutters understand spacing? The Horizontal is a complex offense that deals with lots of “what ifs.” Consider that just over ten years ago some one the best teams with the best minds in the country were still attempting to figure out how to make it regenerative. Is that really a set you want to run with players that just learned the sport? Shayne has been playing ultimate for nine years. After two years of coaching, he won the 2013 USA Ultimate Great Lakes Coach of the Year for his work with Valparaiso. He resides in Manhattan. Comments on "Considering The Horizontal Stack: Are You Sure It’s Right For Your Team?"